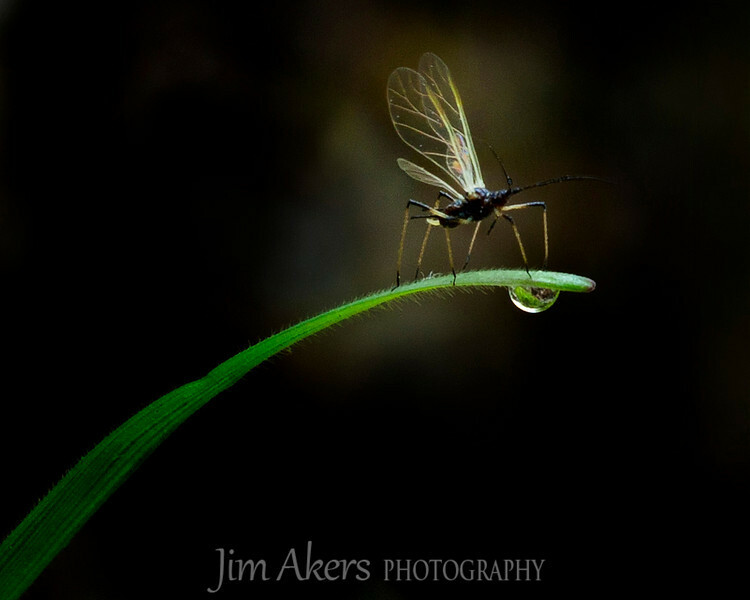 1st Place for Macro Photography at the Santa Clarita Valley Photography Association Spring Open Competition. "Itsey Bitsey Aphid" was not the intended shot just happened to get in the view finder. The family name is: Aphidididae and the order is: homoptera; very small insect, they like moisture and sure enough this little guy was near a waterfall so the grass is always moist. Also the sun shines on this particular spot maybe 5 hours a day otherwise it is indirect ambiant light or dark. If you would like to purchase this photo you can email me at jimaica_33@msn.com for details.